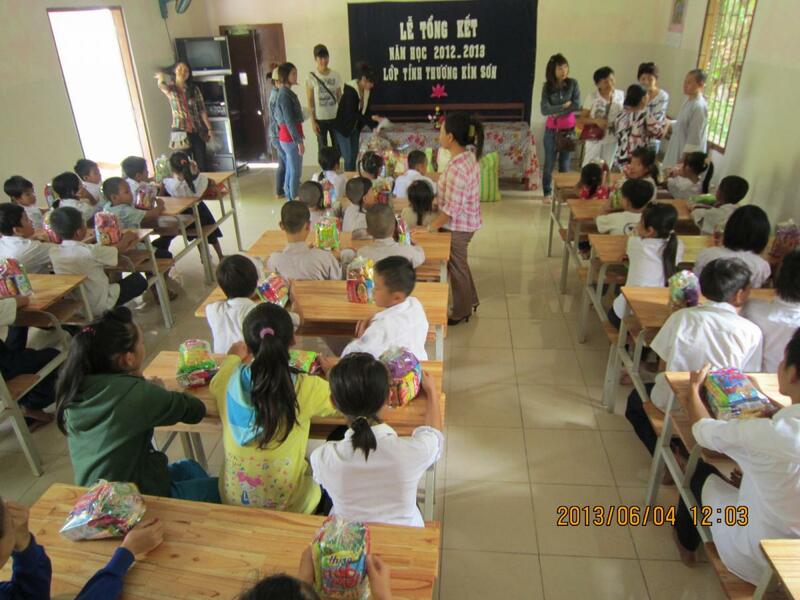 On June 4, 2013 our team visited the Kim Son Charity School for end-of-the-year festivities. 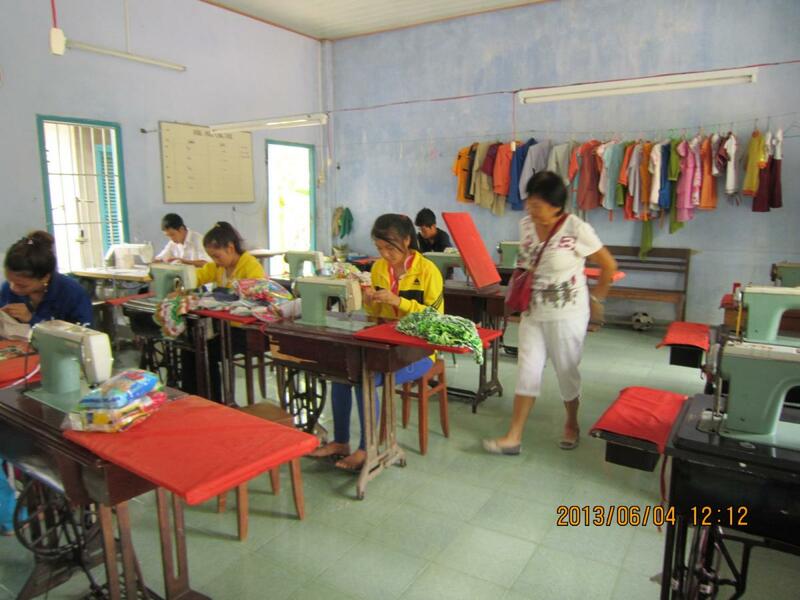 The closing ceremony is an important occasion in Vietnam, and most public schools have performances, speeches, and pomp to celebrate the students’ achievements. Charity schools, on the other hand, survive solely through donations, and never have the funds to give their students the grand ceremony other schools have. The nuns at Kim Son give everything they have to the children, including free meals, books, and schooling. 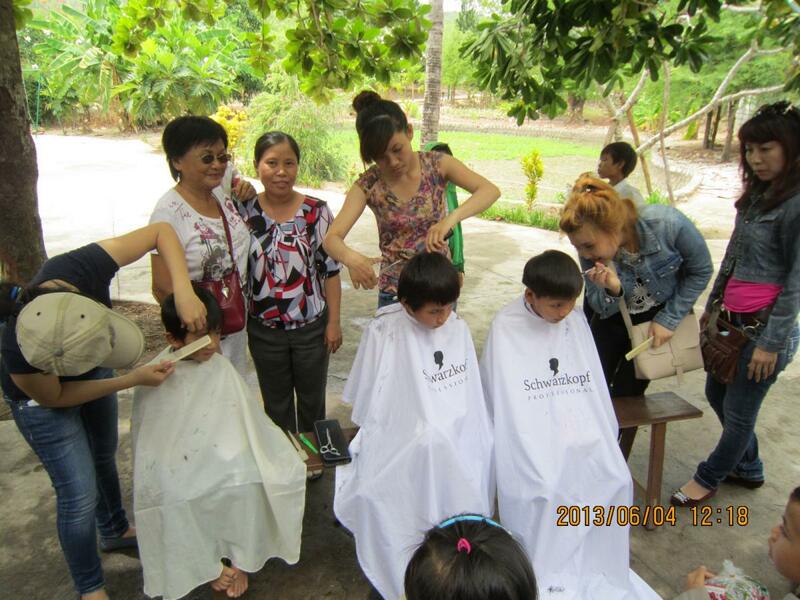 Our team in Nha Trang wished to make their last day of school special. Lead by our regional leaders Ngoc and Loan, our team in Nha Trang raised money and gathered volunteers to visit the school on their last day. 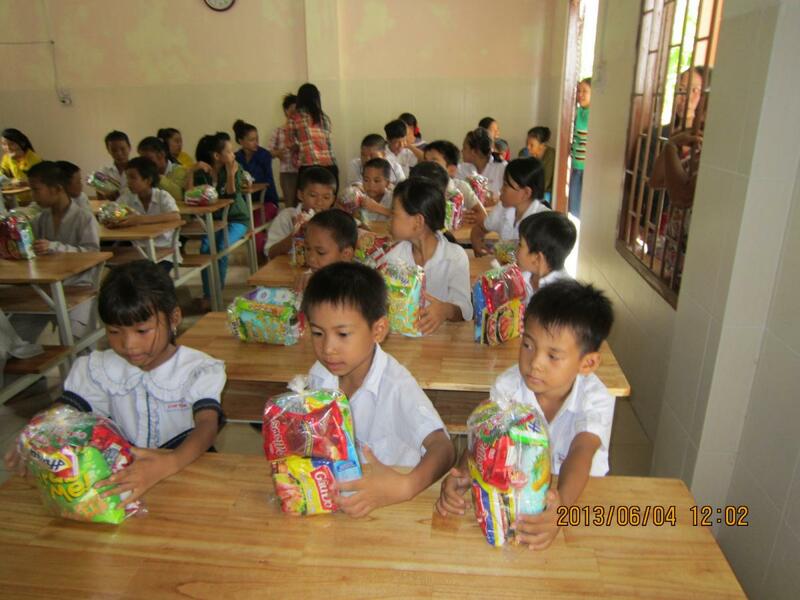 They brought bags of rice and noodles for the school’s food supplies, and snack bags for every student. 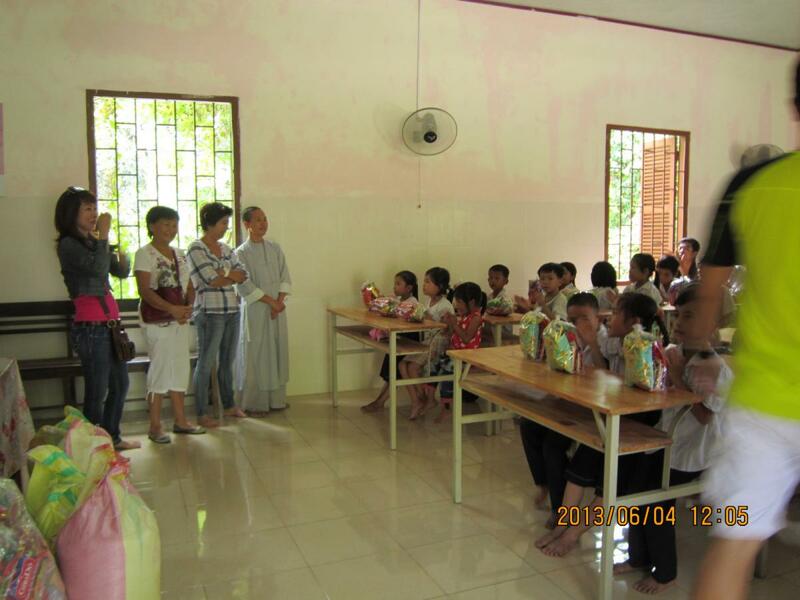 The nuns made small speeches, and all of the children were surprised to receive gifts on the last day of classes. 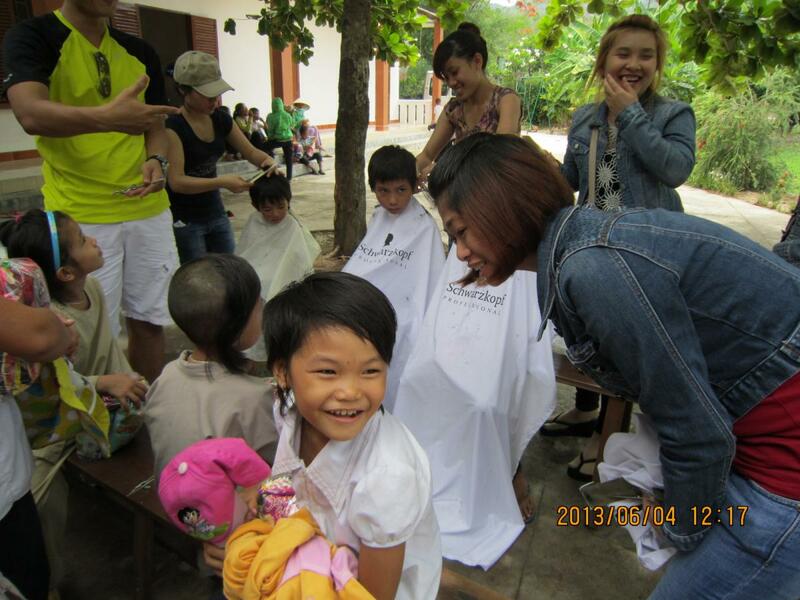 As a bonus, a group of our friends are hairdressers, and they gave many of the children a free haircut after class. Thanks to everyone who contributed! Welcome summer!